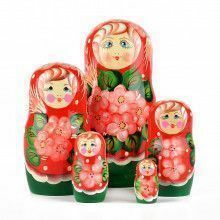 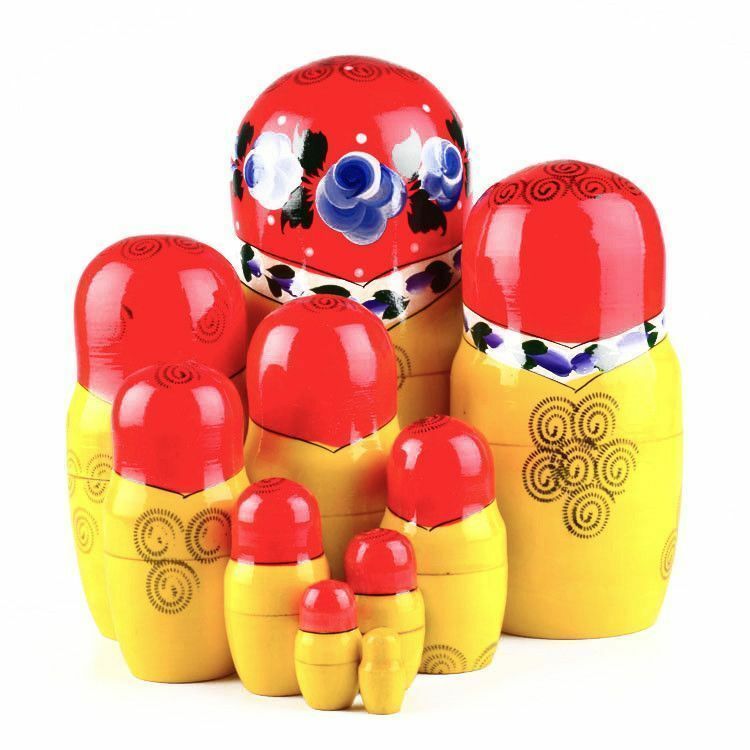 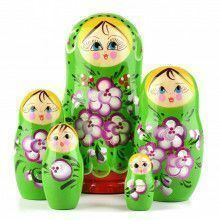 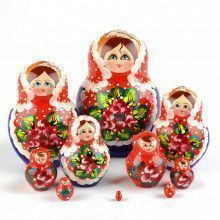 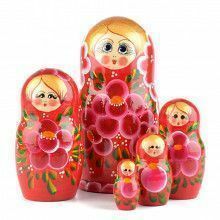 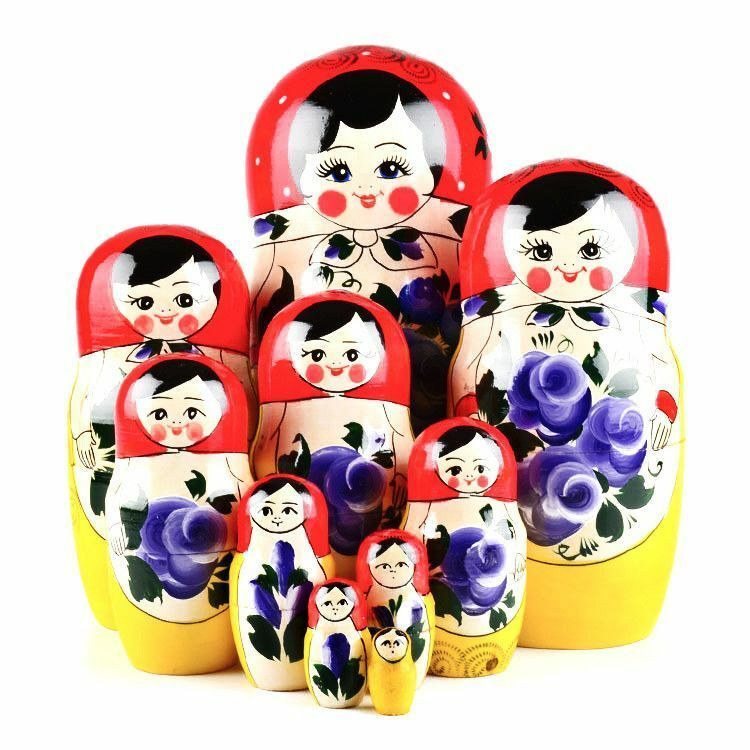 Bring home this matryoshka doll for unique decor, interesting conversation, and maybe even a little playtime! 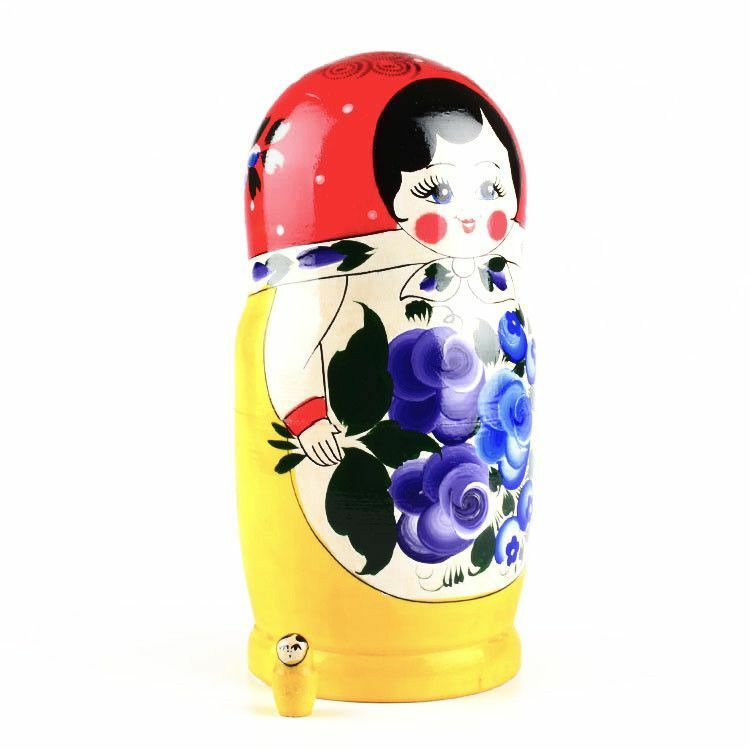 Red and yellow classic design, with lovely purple and blue flowers were all hand painted by a skilled artisan. 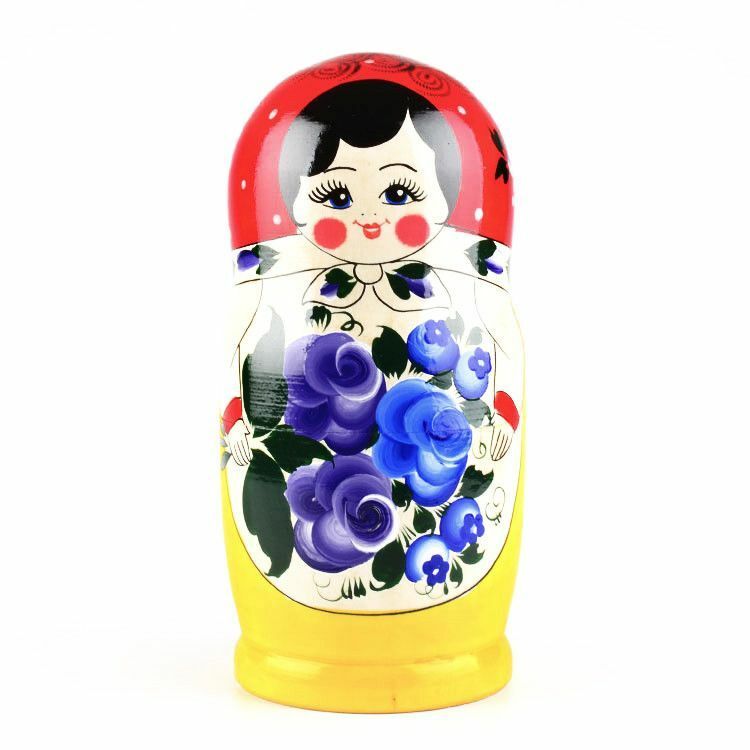 This wooden doll is about 10 1/2" tall and has been gloss-finished. 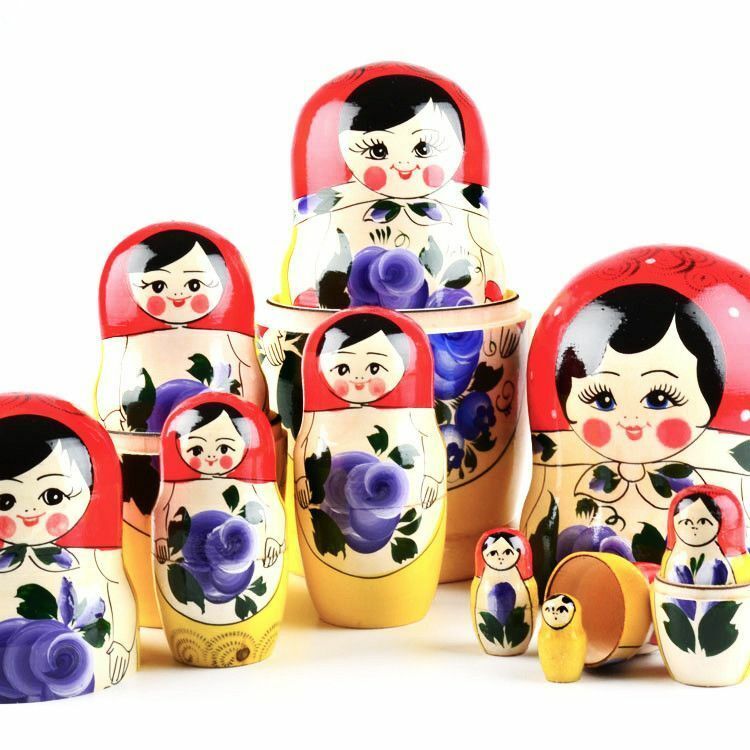 Design and colors might slightly vary. 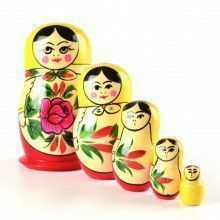 The smallest doll of them all is only about 1 1/4" in size.